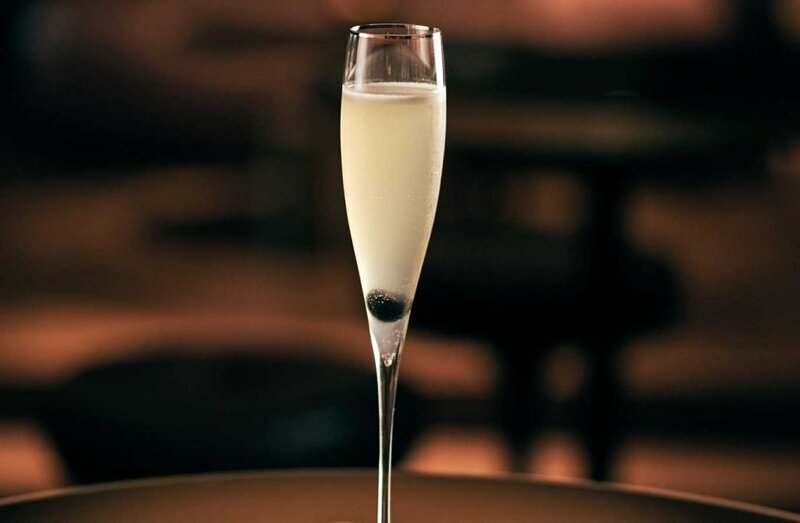 A classic take on a French 75 with a floral honey and a dash of absinth. Every pre dinner party needs a delicious welcome drink. Champagne has always been associated with celebration and good times with close friends and family. For our champagne drink we added a small amount of a floral honey, bringing a creamy floral texture to balance the fresh lemon juice. The absinth makes the flavours longer, with an anise finish. Fine strain with a tea strainer into your pre chilled glass and top with your favourite dry champagne. A small disk of lemon on top for citrus notes. For a bigger party add up your ingredients depending on how many you are in a large serving bowl with ice and stir until mixed top with champagne and serve.